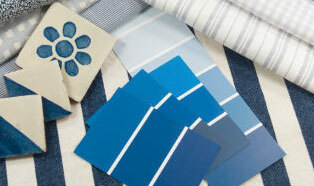 Selecting the right color for the various rooms in your home can be overwhelming in itself. You want the edgy and modern look without going out of your comfort zone as well as keeping in mind the different guidelines when it comes to the flooring, furnishings, accessories, and so on. But once you have finally come to conclusion, you are then asked what sheen you want imposed with the colors you choose for your interior painting project. With the many choices, you may have difficulty knowing which to opt for. With that in mind, we at Warren P Ruth Painting & Paper Hanging would like to discuss the basics of sheen and recommend the ideal applications for them. Sheen is available in eggshell, flat, gloss, satin, and semi-gloss. Keep in mind that generally, the shinier the finish, the more durable it is and is the simplest to clean. The sheen references the amount of light the paint will reflect from off the surface. Not only is what the room is used for a factor, but so is how you want the overall look to be. A number of different sheens are available for oil and latex paints. Flat or matte paints, without any sheen, absorb the light where paints that are glossy or semi-gloss reflect it; looking more shiny. Most of the different sheens can be used in most parts of the home, but there are also optimal rooms better suited for the different sheens. 1) Eggshell, Low Luster, Low-gloss: A smooth finish similar to that of an eggshell, best for low-traffic areas, smooth surfaces and resists stains and scuffs, making it easier to clean than the flat sheens. 2) Flat or matte: Leaves a subtle and smooth finish, conceals imperfections in the new construction and drywall applications, and great for low traffic area. Since it absorbs dirt, it can be harder to clean and the cleansers often burnish the finish. 3) Gloss: Cleans with ease, finish is smooth and high-shine, and displays very reflective and brilliant sheens. Gloss requires perfect applications because the imperfections can be easily seen if the surfaces are not smooth and clean. 4) Semi-gloss: Optimal for high-traffic areas with simplistic cleaning nature. The smooth sheen reflects light and can be easily used for both interior and exterior areas. It does offer more moisture resistance but can have problems with sticking. 5) Satin: Sheen suited for both exterior and interior use, it can withstand light scrubbing for cleaning. The finish is soft and elegant; ideal for rooms that are more active. To even out the painting surfaces, primer paint is utilized. The surface can easily soak up more paint in some areas in comparison to others, looking blotchy if the primer is not used prior to painting. Additionally, the primer contributes to the paint adhering to the surfaces. It is important you use primer with your painting projects. If you want your painting projects to have the maximum results with excellent quality, coverage and crisp edges, you want the professionals of Warren P Ruth Painting & Paper Hanging executing your painting project. Call us today to consult the overall look, color and sheen you wish to have for the different areas of your home.